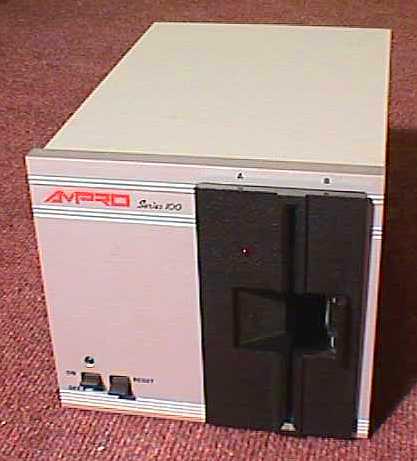 Ampro LittleBoards were mostly used in industrial control applications. These tiny single-board computers were easy to integrate, self-contained, and reliable. This particular board is a model 1410, mounted in an tiny Ampro chassis just large enough to fit one full-height 5 1/4" device and power supply.